Editor’s note. This appeared in the current digital edition of National Right to Life News. I trust you are forwarding stories using your social media contacts. As of June 20, the Supreme Court still had not ruled on National Institute of Family and Life Advocates v. Becerra. 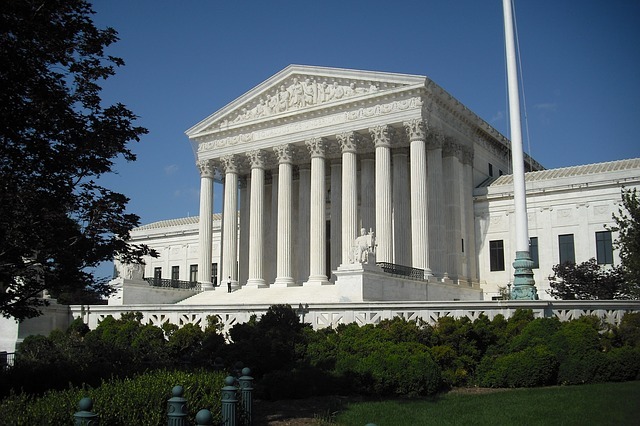 On June 4th the Supreme Court dismissed a decision by the U.S. Court of Appeals for the D.C. Circuit which allowed an undocumented 17 year girl to abort. The five page unsigned opinion filed without noted dissents was not only good news (the appeals court’s faulty decision could not be used as a precedent), it also reminded us that there was another abortion-related case the justices have yet to rule on. On March 20 an openly skeptical Supreme Court heard oral arguments in National Institute of Family and Life Advocates v. Becerra, a much-anticipated free speech case. Under the so-called “Reproductive FACT Act,” the state of California is requiring both pregnancy help centers that offer medical services and those who don’t (as one attorney put it) to “act as a ventriloquist’s dummy for a government message”—abortion. The basic argument for the Reproductive FACT Act is that the pregnancy help centers were allegedly misleading women, a charge for which there is precious little evidence. As for those who were not licensed medical centers, the state of California insisted they were obliged to all-but-scream to pregnant women that they weren’t licensed medical facilities. Justice Anthony Kennedy, potentially the swing justice, said the law in certain circumstances would seem to impose an undue burden. He cited a hypothetical example of a billboard in Los Angeles with the words “Choose Life,” paid for by an anti-abortion clinic. Under California’s law, would the ad have to include, as the statute says, the words about the clinic being unlicensed, in large font and in multiple languages? The justices made many strong points, including some that mirrored lower court judges’ analyses. For example, that the state of California had abundant resources to get its message (about free or low-cost) abortions to the public. Such was part of the holding in 2017 when Riverside Superior Court Justice Gloria C. Trask granted a temporary injunction for the Scharpen Foundation’s mobile ultrasound unit on that grounds the law violated California’s “freedom of mind” guarantee as laid out in the state’s 1849 Declaration of Rights. “The State can deliver its message without infringing upon anyone’s liberty,” Trask wrote. A decision in National Institute of Family and Life Advocates v. Becerra could come down at almost any time.